In the modern world acequias and parciantes have a slew of new challenges to face – one of these is counties reviewing properties that receive official agricultural status from the county for purposes of receiving a lower tax evaluation. State Statute and Regulations often define agriculture in ways that do not jive with what every day folk would consider "agricultural use" (for example, row cropping or veggie gardens must be at least one acre). 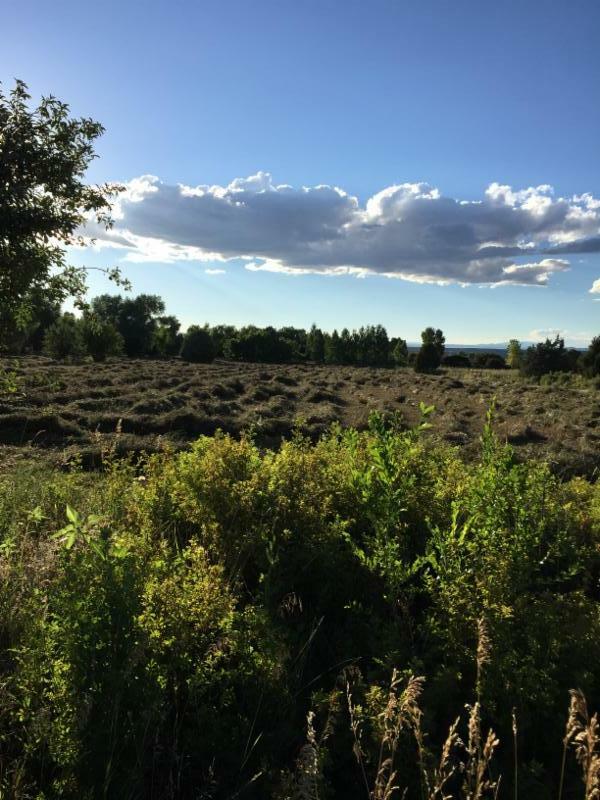 Any land with an acequia water right is land that has historically been in agricultural use. As we all know the best way to protect a water right is by putting that water to beneficial use on the land it is connected to. The second best way to protect a water right is via a water bank – check your acequia bylaws or with a commissioner to ensure this is an option on your acequia. Every acequia would like to see all parciantes retain their water rights to protect the overall flow in the ditch. Land that is putting water to beneficial use and receives agricultural status supports all parties involved. The mission of the New Mexico Acequia Association is to protect water and our acequias, grow healthy food for our families and communities, and to honor our cultural heritage. To that end the NMAA is working closely with the New Mexico Legal Aid (NMLA) to support parciantes in understanding how to defend and protect the Agricultural Tax Valuation. We encourage anyone whose agricultural status is being questioned to defend it even if the use is slightly outside of the statutes. Every county has different interpretations of the statutes. It is important to work closely with the County Assessor's office to get a clear understanding of their particular application of the special method of tax evaluation. On May 7th, 2015 NMAA and NMLA hosted a workshop at the Nambe Community Center called "Protecting our Agricultural Land" which focused on how this issue is affecting Santa Fe County. The large turnout and eager participation of the group demonstrated that Agricultural Land Valuation is an important issue. During the course of the workshop, NMLA Attorney Enrique Romero developed our understanding of the statutes and regulations that determine the parameters of the Special Method of Valuation applied to agricultural and grazing land. He also discussed what every landowner must do to acquire or defend the valuation, and provided an overview of the protest process when land has received an inaccurate valuation. Various staff from the Santa Fe County Assessor's Office, including County Assessor Gus Martinez, answered a variety of detailed questions, greatly contributing to our understanding of the process. The Assessor's Office also did a great job reviewing the numerous resources on its website www.santafecountynm.gov/assessor (call 505- 986-6300 for those of you without internet). Tony Valdez of the Taos County Extension office reviewed a variety of scenarios that might support gaining and maintaining the agricultural valuation. We encourage everyone to contact your local County Extension office with specific agricultural questions and to access many informational resources. We also heard from Sharon Elias of the Natural Resource Conservation Service (NRCS). Sharon explained "Conservation Plans" for your property and distributed information to help create a sustainable farming operation. Additionally, NRCS has a variety of cost-share programs that may support you in implementing on-farm improvements. Both of these offerings can be used as credentials in defending your ag valuation. We also encouraged participants to first sign up with the Farm Service Agency (FSA) and to explore their numerous programs that include crop insurance and low interest micro loans. Serafina Lombardi of the NMAA is available to support you in signing up for their programs – now is a good time to get started! Enrique Romero also clarified the legislative changes NMAA achieved, in concert with other organizations, during the last legislative session. The changes to the ag valuation statute now require county assessors to consider drought when assessing land for the agricultural valuation when landowners are resting land due to at least eight consecutive weeks of drought. Finally, Serafina Lombardi discussed some creative solutions including the NMAA Land-Share project where landowners are connected with folks to farm and shared a list of contractors to be utilized by participants to find support in working the land. Participants were encouraged to defend any sort of agricultural practices on their land and to be diligent in documenting them. NMAA encourages all parciantes and acequia communities to support one another in maintaining agricultural practices and to call on the NMAA and NMLA to support you as you defend your agricultural valuation status with your county assessor.